Sometimes the world can seem to be in a conspiracy against your teeth, and particularly your fillings. First, there are the hard things, including popcorn kernels hidden in fluffy popcorn, hard candies, ice, olive-pits, bread crusts and other foods. All of these have the potential to crack a filling or cause you to lose one. Then there are the sticky things like gum and taffy that can pull fillings out as you chew on them. Even your good friend flossing can, rarely, cause the loss of a filling, particularly in your back teeth. And while a lost or cracked filling rarely constitutes a dental emergency, they do require treatment. And maybe worse, they make your mouth feel weird. No matter what you do, you know a filling is missing because, when it is gone, your tongue, jaw, and even other teeth send messages back to the brain that the expected layout of the mouth is out of whack. Series of grinding, chewing, and temperature changes in the mouth are common reasons of wear and tear. They can weaken your fillings over time until the day they reach their breaking point. Dental restorations are not indestructible. Although they are made durable, they can be destroyed by improper use. Abuse can weaken and break your restorations. Chewing on hard, sharp, and sticky foods, or using your teeth as tools, can cause premature damage. Tooth decay is the most common reason for having restorative devices. Observance of good dental habits is very important. Failure to follow them can lead to the development of cavities, which can weaken the tooth supporting your restorations and lead to damage. It takes a skilled dentist to properly place a dental restoration. Even though your dental restorations are duralble, if the dentist has done a poor dental work, damage is likely to occur.. The good news is that if you do crack or lose a filling, Forster Dental Centre can help! The first thing is, call us immediately. Over the phone, we can help you determine if your lost filling is the extremely rare emergency. But more than that, we can set up an appointment to replace your filling. Very often we can see you the same day, or schedule you in on the next day. While you’re waiting to come in, the main things to consider are safety and comfort. When a filling gets cracked or goes missing, the tooth loses strength. This means it is necessary to avoid chewing with the section of the mouth that has lost a tooth. This will reduce any possible sensitivity, keep food particles out of the hole, and avoid cracking of the remaining tooth. After you do eat, rinse your mouth with salt-water and gently brush the area. Because you have a hole in your tooth, you also have an excellent pocket for debris and bacteria to accumulate. If you have tooth sensitivity, take over-the-counter painkillers as recommended. There are also temporary filling materials available over-the-counter. But these are all temporary answers, and the final answer is to be found, quickly, in a dental chair at Forster Dental Centre. Be careful what you eat. As we mentioned above, hard or sticky foods can lead to lost or damaged fillings. It’s never a comfortable feeling when you accidentally bite on a filling that used to be in your tooth! So be careful when eating foods that can crack, push, or pull at fillings. Never use teeth to chew on hard objects or as tools. Opening bottles with your teeth, or chewing on pens or pencils are great ways to damage teeth, and crack and lose fillings. Your teeth are for smiling and chewing food, nothing else! Be aware of and treat your clenching. Clenching your teeth puts a lot of force on them, and force that can weaken fillings. Clenching, like grinding, should be treated immediately as it can easily lead to other issues. Make sure to use nightguard if you are a tooth grinder. This protects your dental restorations as well as your jaw health. Lastly, visiting Forster Dental Centre gives us a chance to catch any loose or damaged fillings before they can surprise you by dropping out of your tooth. If you’ve lost or damaged a filling, don’t wait to call us at Forster Dental Centre. We’ll determine the best replacement option for you to get your smile back to its best self. How Forster Dental Centre can upgrade Cracked or Lost Fillings! Forster Dental Centre is proud to offer composite tooth-coloured restorations that clinical experience and scientific study have demonstrated to be reliable, safe, and durable. Tooth-coloured fillings are a blend of plastic resins and silica fillers. This blend recreates some of the qualities of natural tooth structure, such as translucency and durability. And tooth-coloured restorations are aesthetically far superior to traditional amalgam fillings. 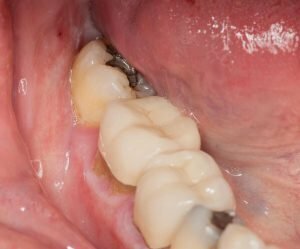 Not only do tooth-coloured fillings offer a more pleasant looking alternative to amalgam, but also they are less destructive as they require less elimination of a tooth’s original structure. As an added benefit tooth-coloured composite fillings also help strengthen teeth. We pride ourselves on listening to your needs, and we provide you with the customised attention you and your family deserve. Forster dentist also serving local communities in Tuncurry, Pacific Palms, Smiths Lake, Hallidays Point, Failford, Old Bar, Nabiac, Taree, Manning Valley, Bulahdelah, Harrington and Great Lakes. 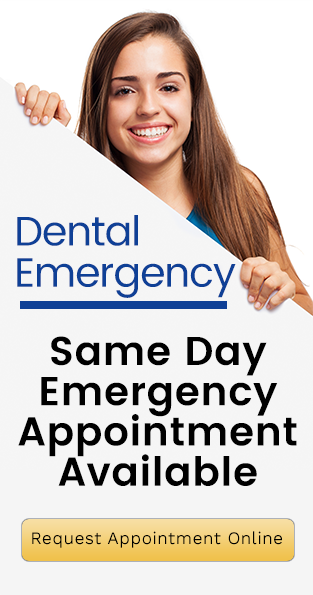 Same Day Dental Emergency Available! For more information, call us on (02) 6555 5554 or visit us online. We are located at 1st Floor Forster Tower, 12 Wallis St in Forster.